What is L-Ornithine? 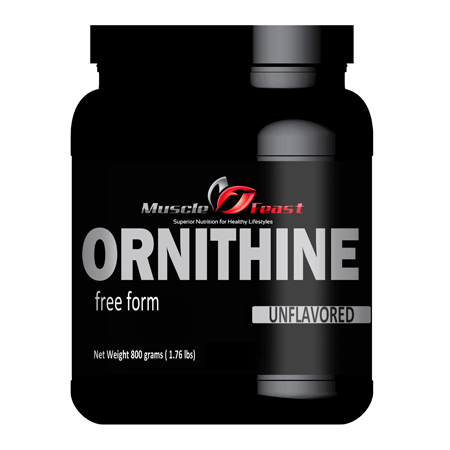 L-ornithine is an amino acid created in the body from L-arginine metabolism. In rare cases, certain people may become deficient in L-ornithine, which is typically found in fish, meat and dairy products. Because L-ornithine deficiencies are unlikely for most people, you should consult your doctor before taking this supplement to discuss the proper dosage and potential health risks. Health Benefits of L-Ornithine? If you’re recovering from a severe physical trauma, major surgery or debilitating illness, your body might not produce the normal amounts of L-ornithine and glutamine, according to the University of Pittsburgh Medical Center. A report published in 1986 in the “Journal of the American College of Nutrition” determined that during this time of recovery, you could become deficient in L-ornithine and require a supplement, notes the University of Michigan Health System. The same is true if you’re recovering from pregnancy or malnutrition. A study of hospital patients overcoming severe illnesses that was published in the “Journal Current Opinion in Clinical Nutrition; Metabolic Care” in 1998 found that L-ornithine appears to inhibit cortisone. Cortisone is a hormone that’s typically elevated when your body isn’t using proteins efficiently and is essentially breaking down muscle. L-ornithine appears to stimulate the opposite type of bodily activity, encouraging your body to build muscle and utilize proteins consumed in your diet. The typical dosage of ornithine supplements is 5 to 10 g per day, often in combination with the amino acid arginine.